What's it like outside? And what are you going to do about it? Every morning, before heading to school or out to play, kids want to know what the weather is going to be like that day. Is it a day for building a snowman, constructing a sandcastle, or planting a garden? Will they be stuck inside because of rain at recess? Or stuck at home because of snow? And what about tomorrow? Explore Weather and Climate! will help kids understand the how" and why" behind the what." They'll learn how wind, sun, and water combine to form the weather we experience every day. They'll find out why the weather gets extreme. Explore Weather and Climate! 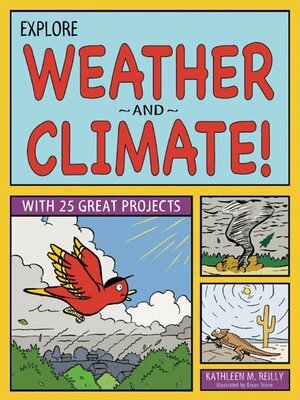 offers engaging text reinforced with 25 hands on projects that include creating a storm in a bottle, touching the clouds, and eating an edible climate map, resulting in an unforgettable understanding of these forces of nature.